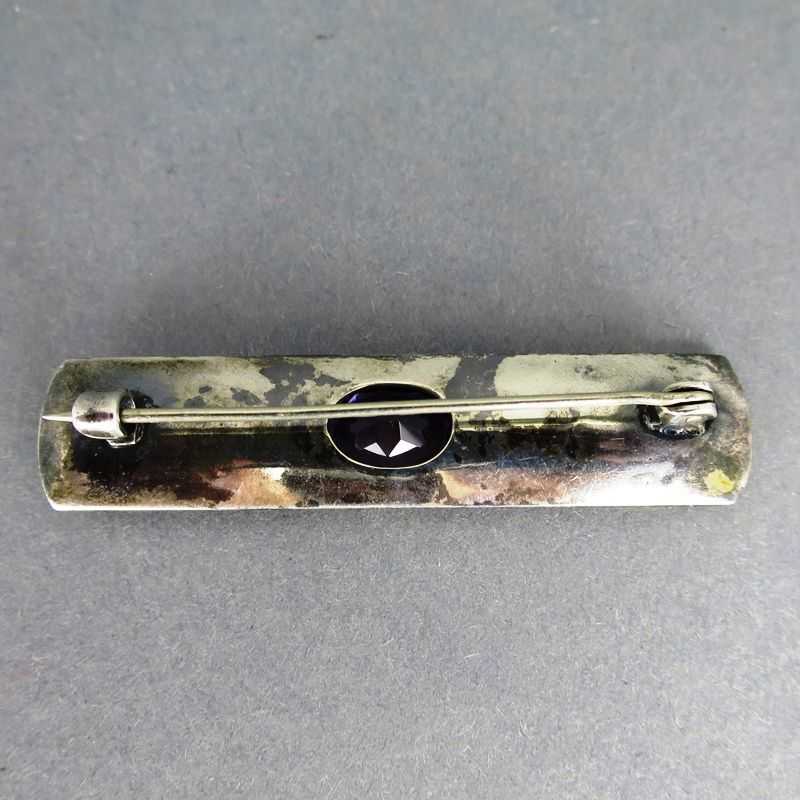 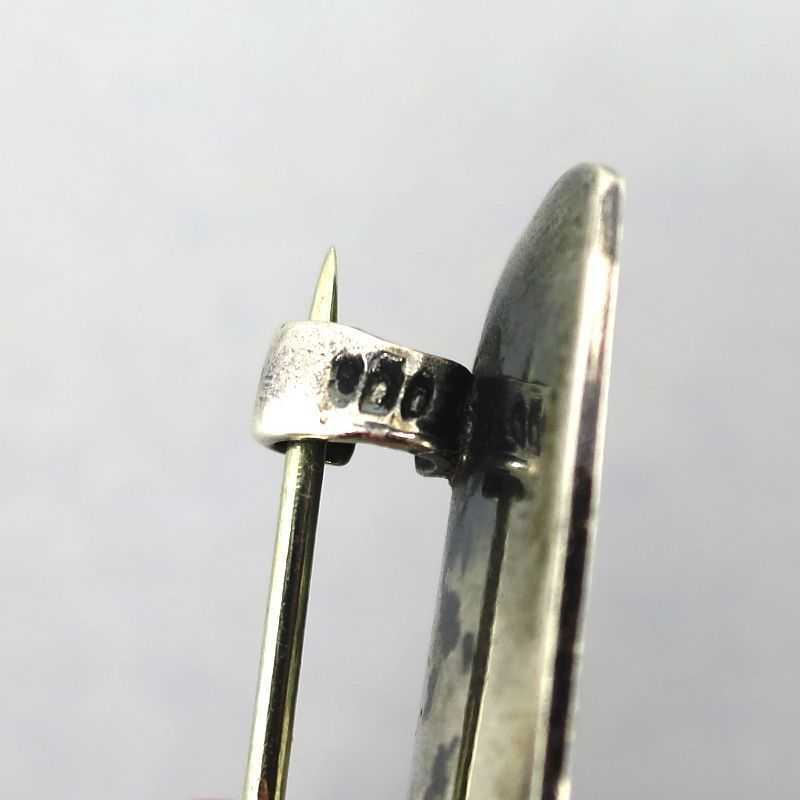 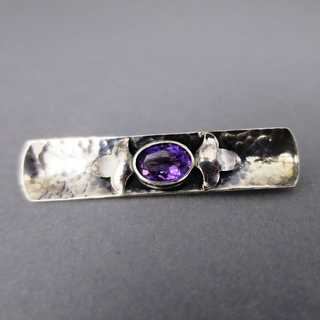 Beautiful and unique modernist designer brooch. 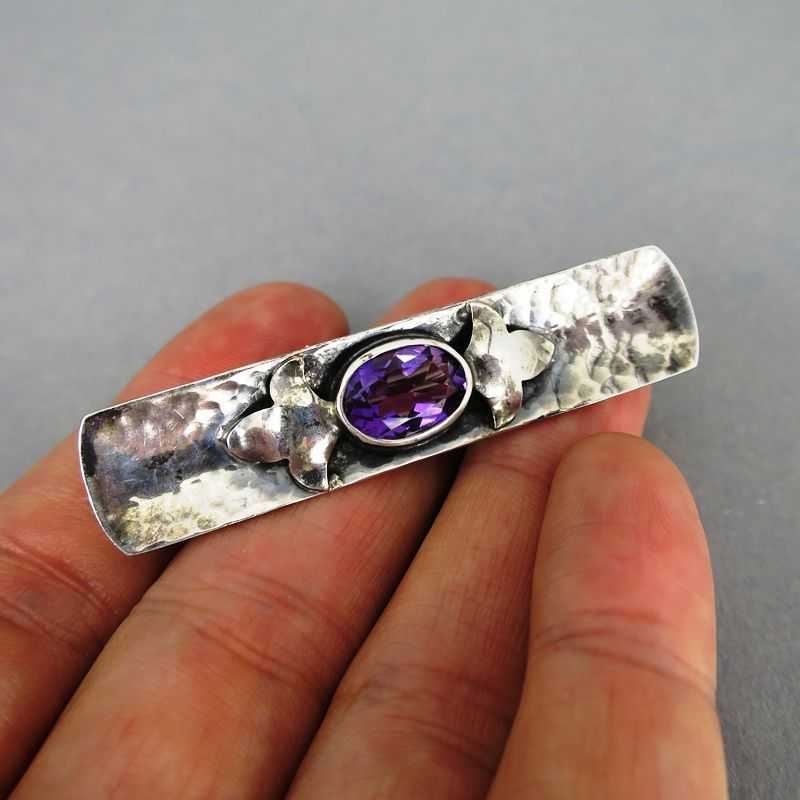 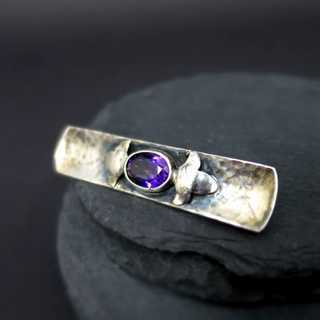 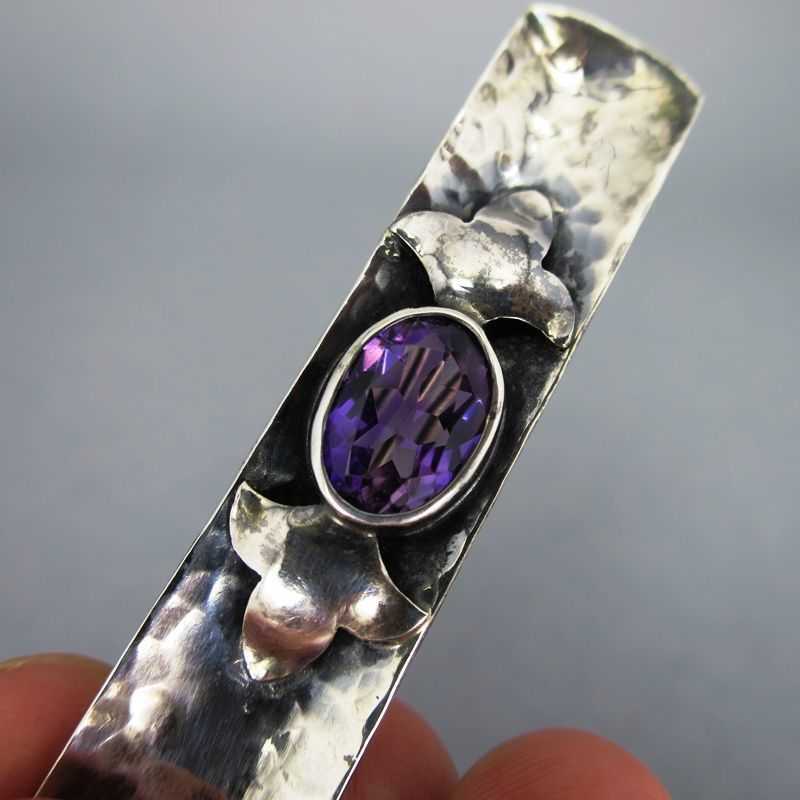 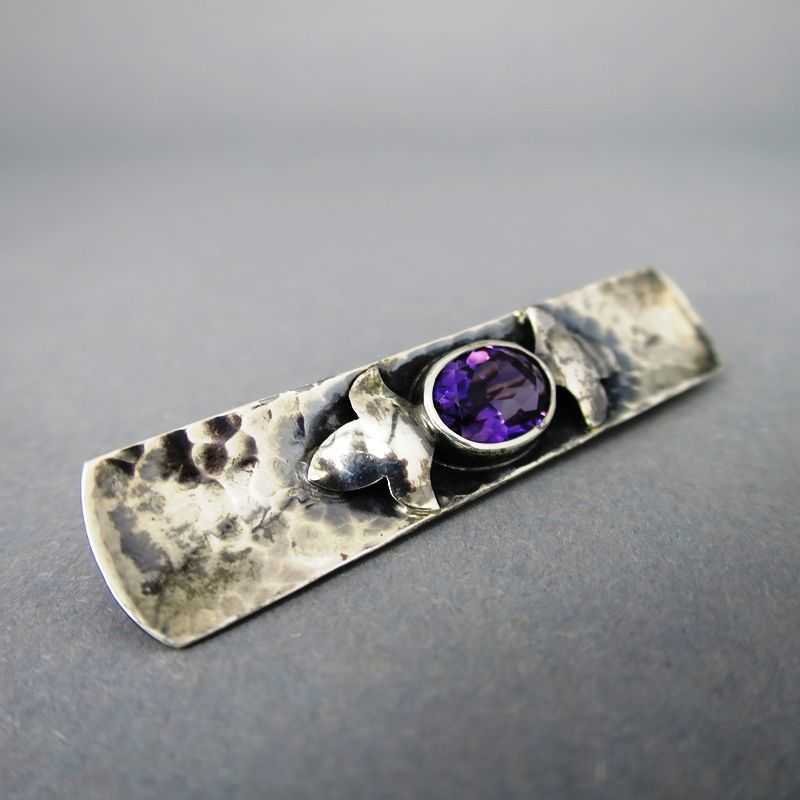 Oblong, rectangular shape with concave surface, filled in the centre with an oval, rich faceted amethyst cabochon in bezel setting, flanked by abstract leaves. The whole surface is hammered and oxidized. Back side with needle closure.